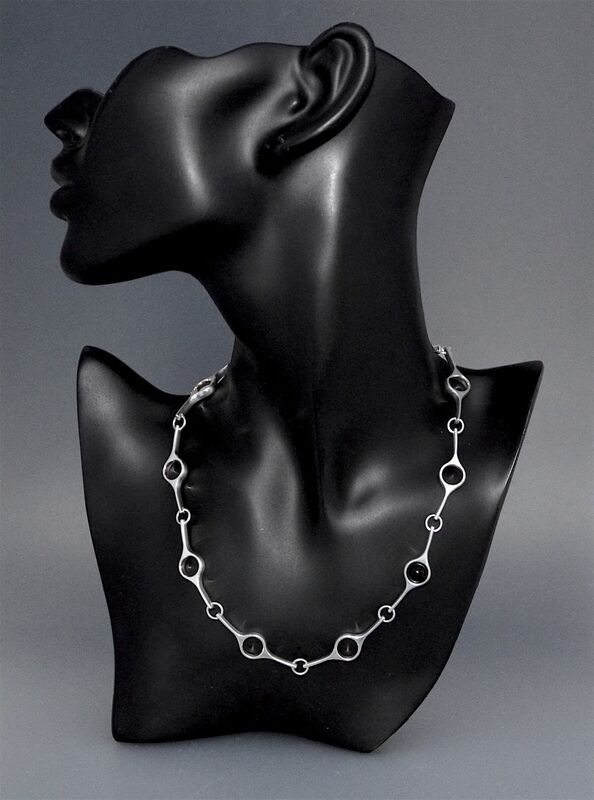 This is a very simple elegant silver & onyx necklace made by the Danish silversmith Georg Jensen. Known as Sphere it is made of 10 silver propeller shaped links 9 of which have open centres and 1 being filled with a polished black onyx bead. 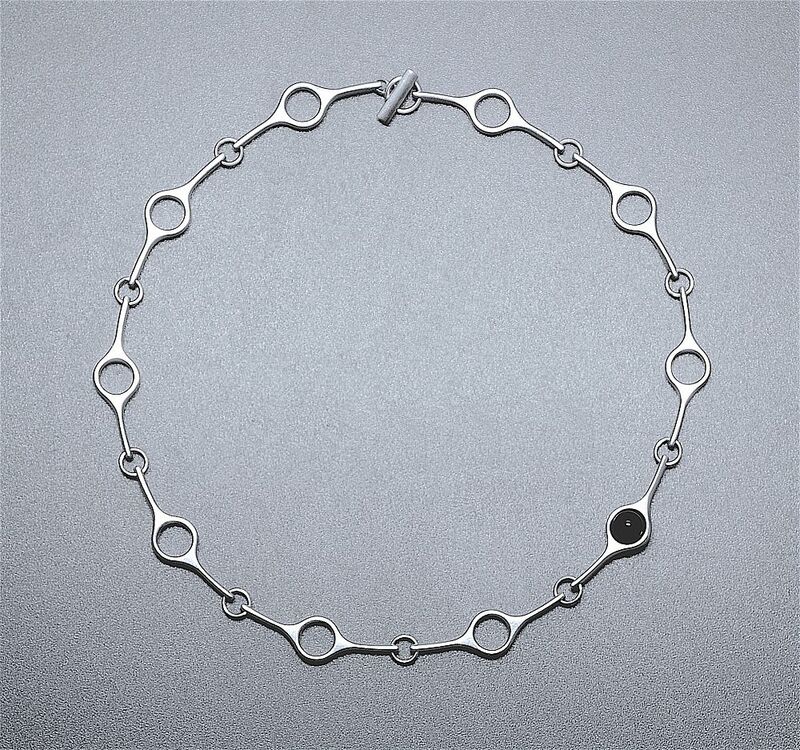 Each link is connected by a round silver link. The reverse of the T-bar fastener is stamped with the oval Georg Jensen cartouche and with "925 S".